Yatsenyuk implements tax reforms according to Klymenko's recipes ⋆ News ⋆ Official website for Oleksandr Klymenko. 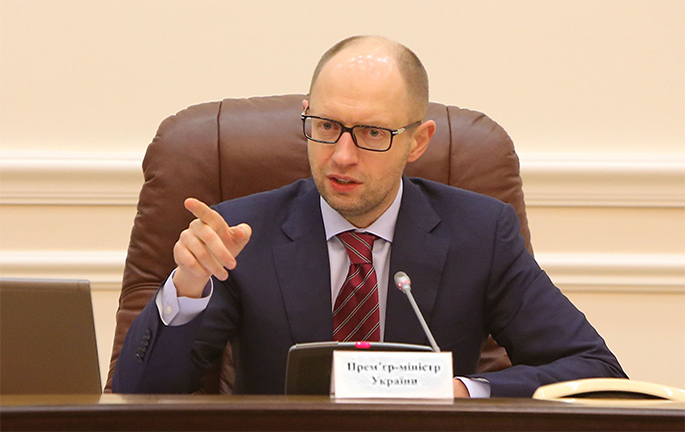 Arseniy Yatsenyuk – The Prime Minister of Ukraine – spent month on the discussion of the tax reform with the public and for consultations. Details of the governmental concept have not been published yet. The promulgate documents contain only general provisions. Image-building issue – how to explain to the public (without losing image) why do the new government appeal to the projects of its predecessors. Statements of the prime minister are uninformative. The details of one of the most disputed topics are: the main topic of “consultations” will be not economic, but image-building issue – how to explain to the public (without losing image) why do the new government appeal to the projects of its predecessors. Igor Bilous – the head of State Fiscal Service – has claimed few sensational and rather ambiguous initiatives. Tax on deposits has almost blown up the society in its time. However, during the war, it has been unnoticeably introduced on August 1. The country, which is busy with events in Donbas, did not react. Military fee from individual’s income was perceived as an antirecessionary solution. Although it has not resolved the issues related to the supplying the army and money, which were collected by SMS on number 565. Electronic system of VAT administration, which should start operating next year, exists only on paper and in the mind of Bilous. Experts and business have more fears, than hopes in regards to the fact that the most corrupted tax will finally be settled. They also don’t believe that the tax compromise, which was proposed by the head of State Fiscal Service, will not be turned into a scourge for the business, and will have nothing common with the compromise itself. The specified innovations have one basic shortcoming – they are not suitable as a foundation for serious tax reform at all. However, the specified innovations have one basic shortcoming – they are not suitable as a foundation for serious tax reform at all. Therefore, these steps of the State Fiscal Service can be put outside the brackets. What will be in solid residue? There will be the same, what Concept of tax reform contains. It was worked out in 2012 and upgraded in January-February 2014, the team of Oleksandr Klymenko – “young reformer” – put all these things (which are claimed by the the Cabinet leadership) in their plans during their time. The most important part of this reform – is reducing of the tax burden on the citizen’s incomes. Thus, changes in the rates and system of administration of UST (Unified Social Tax) and TIPI (Tax on Individual Person’s Income). Ministry of revenue and duties​ officially was dealing with the administration of unified social tax since October 1, 2013. Long before that, Oleksandr Klymenko – ex-Minister – stated that his Ministry has these functions in order to achieve lowering of the rates, especially that part of the fee, which is paid by an employer. Klymenko believed that such approach will allow to achieve substantial progress in eliminating of the practice of wages “in envelopes”. This idea was slowed down by the Government and the Presidential Administration in order to work out compensators of direct losses of the state treasury and social funds. The head of Ministry of revenue and duties​ assured that the gap will be filled by expected increase of salaries and income’s unshadowing. “Senior fellows” had doubts. After that, it was “out of a season” due to the Maidan, fights on Hrushevskoho str., escape. The new Cabinet of Ministers has changed this idea only in the part that it does not implement a sharp decline in rates, which was in the original project. Instead of steep dive to 15%, there was made a reduction by twenty percent (if we take average salary in the country as a reference point). Governmental innovations concerning the tax on personal income also repeat Klymenko’s ideas. Governmental innovations concerning the tax on personal income also repeat Klymenko’s ideas. Nowadays, six models are being considered. They all have one essence, namely, the introduction of differential rates depending on the level of income plus cancellation of the preferential rate on passive income (dividends, interest, etc.). 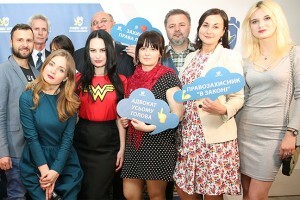 The next step, which is planned by Yatsenyuk team, also repeats ideas of their predecessors – reducing the number of taxes. That time it was assumed that the reduction in the number of payments would be made in two stages. From more than twenty existing taxes – to 14, and then – to 9. The current draft law of the tax reform includes both options: either to 14 or to 9 at once. In addition, it is offered to eliminate plethora non-essential fees, which do not bring profit to the state. Some of them – on the contrary, bring losses, because administration costs exceed revenues. A list of such fees has been existing a long time in the Ministry of revenue and duties​. Nowadays, it is taken to the surface again. Harmonization of tax and accounting, which was declared by Yatsenyuk, was idée fixe of Klymenko. He devoted 2 years of his life to it. Harmonization of tax and accounting, which was declared by Yatsenyuk, was idée fixe of Klymenko. He devoted 2 years of his life to it. Moreover, he discussed finished concept with business in February, 2014 during the Investment Council meeting. Other changes are mainly procedural. This is unification of taxes and, accordingly, reporting. These things do not play significant role for the reduction of the tax burden and simplification of administering. If these ideas (there are no others at the moment, and are not expected– it is hard to work out a full-fledged reform during a month) are based on the transformations, then Yatsenyuk, Bilous and others will face the fact that Ukraine is not Europe, where the continuity of the policy at a change of the ruling team – is the norm. It is complicated and expensive to “break to smash, and then…” every time. Moreover, it means going around in circles instead of progress. We have such a degree of public boiling, that a kind word towards the predecessor (who has created something) can lead to political death. Even if it is a question of long ripened and over-ripened innovations.